The city of Antwerp (Flanders) will have the honor of hosting the annual TCI Network Global Conference from 8 to 10 October 2019. This was announced during the 2018 edition of the conference, which took place on October 17th in Toronto, Canada. In Antwerp, experts from around the globe will be gathering in a forum setting—while seeking to make headway in the domains of cluster development, regional competitiveness and innovation support. Hosting the 2019 TCI Network Global Conference gives Flanders the unique chance to showcase its clusters and its expertise in cluster development, while providing ample occasions for international networking. This hosting opportunity was secured by Flanders Investment & Trade in partnership with Flanders Innovation & Entrepreneurship (VLAIO) and VisitFlanders. resulting in demonstrable economic added value. Launched over a year ago, Flanders’ spearhead clusters constitute a second type of cluster in the region. These initiatives boost long-term and cross-sector collaboration projects for enhanced innovation in some of Flanders’ most advanced and promising sectors: chemicals (Catalisti), food (Flanders’ FOOD), energy (Flux50), logistics (VIL) and sustainable materials (SIM). sustainable materials, resources and chemistry. As a leading global network, TCI Network unites organizations and professionals with expertise in cluster policies and competitiveness. These experts come together once a year to share knowledge and experience in an open, flexible and practical context. In 2019, Antwerp will be a fitting scene for this event. 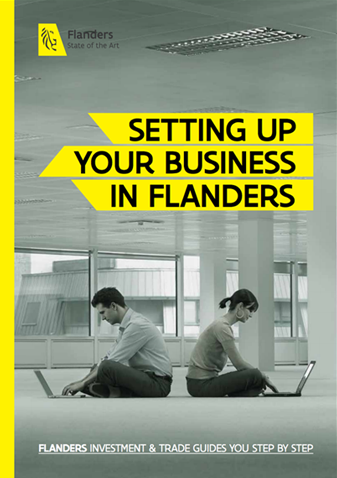 Download our ebook to find out more about how Flanders supports innovation through cluster development.